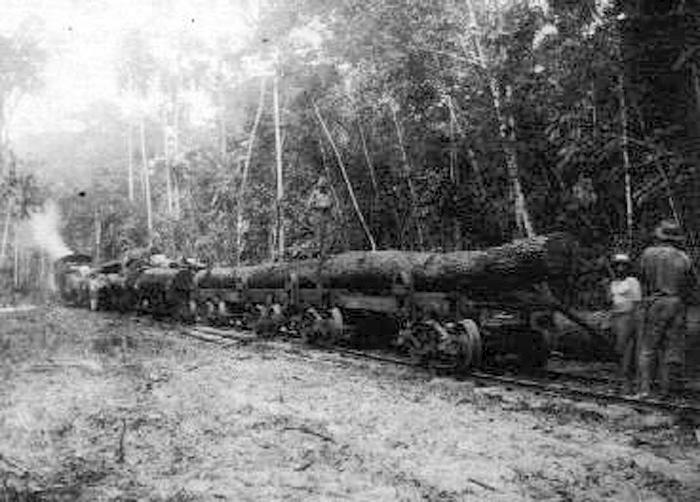 Here's a set of three photographs showing the train installed at the Belize Estate & Produce Company, Ltd. logging camp at Hill Bank for hauling mahogany logs in from the bush to the lagoon. I am not sure of the exact date on these pictures, but it must have been just before WWI, probably about 1912-1914. 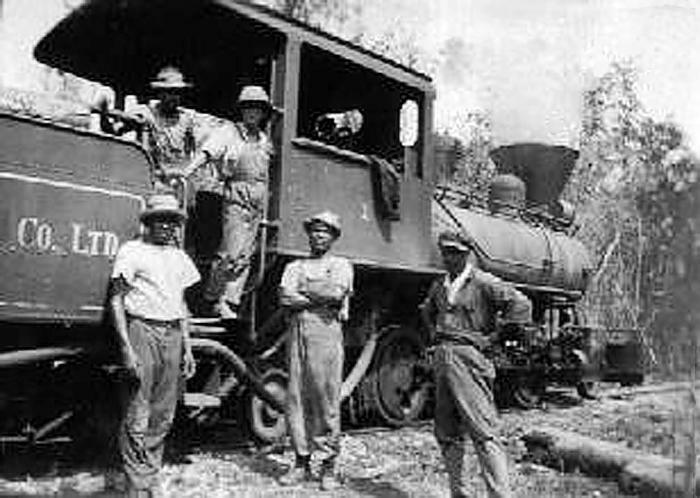 I doubt if this equipment would have been available from England after the war broke out. As a matter of interest, a couple of these photos were in pretty bad shape. However, using the computer I was able to enhance the detail; it worked very well! 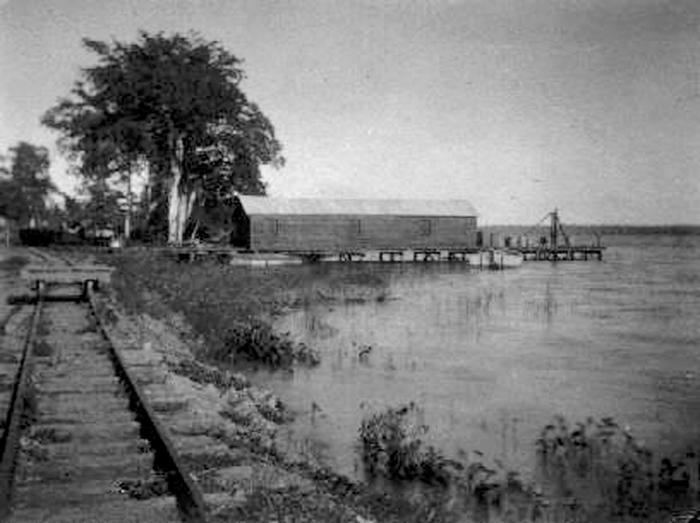 The rail line running along the bank of the lagoon past the dock.